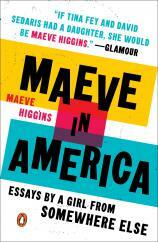 A timely essay collection about life, love and becoming an American from breakout comedy star and podcaster Maeve Higgins. 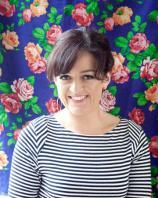 Maeve Higgins was a bestselling memoirist and comedian in her native Ireland when, at the grand old age of 31, she left the only home she’d ever known in search of something more. Like many women in their early 30s, she both was and was not the adult she wanted to be. At once smart, curious and humane, MAEVE IN AMERICA is the story of how Maeve found herself, literally and figuratively, in New York City. Here are stories of not being able to afford a dress for the ball, of the curse of over-politeness, of the true significance of realizing what sort of shelter dog you would be. Self-aware and laugh-out-loud funny, this collection is also a fearless exploration of the awkward questions in life, such as: Is clapping too loudly at a gig a good enough reason to break up with somebody? Is it ever really possible to leave home? Together, these essays create a startlingly funny and revealing portrait of a woman who aims for the stars but hits the ceiling, and the inimitable city that has helped shape who she is, announcing her as a vital voice about women’s lives today.